AceVPN has been administered by security specialists, programmers and network admins grabbing a large customer base i.e. nearing up to 600+ in a very short time period. Their service is rated as 4.6 out of 5 which indicate the popularity and great services of this VPN provider. These facts compelled us to write this comprehensive AceVPN Review in order to enlighten the VPN users about this this US-based VPN Company. There are two pricing plans yet offered by the AceVPN provider. Both of the subscription packages provide distinct features to the customers. Let’s dive into our AceVPN Review to make it even more clear about what you will get with these packages. The AceVPN Premium Plan is further divided into 6 categories depending upon how long you wish to get their premium services. The Premium Plan will cost you $3.89 monthly with 3 year plan. AceVPN provides you SmartDNS for HD streaming with no extra charges. Subscribing to Premium Package, they provide you availability to servers situated in 3 countries viz. USA, UK and France across 20+ locations. You can connect to any of those servers through any protocol viz. PPTP, L2TP, IPSec IKEv2, OpenVPN and Stealth VPN with 7 days money back guarantee. In addition to this, AceVPN proffers their customers an unlimited bandwidth and free remote installation up to 1 computer with the yearly package. The Ultimate VPN Plan is also categorized under 6 sections charging you accordingly with the time period you are subscribing. This Ultimate Plan comes with a price tag of $11.67 monthly. 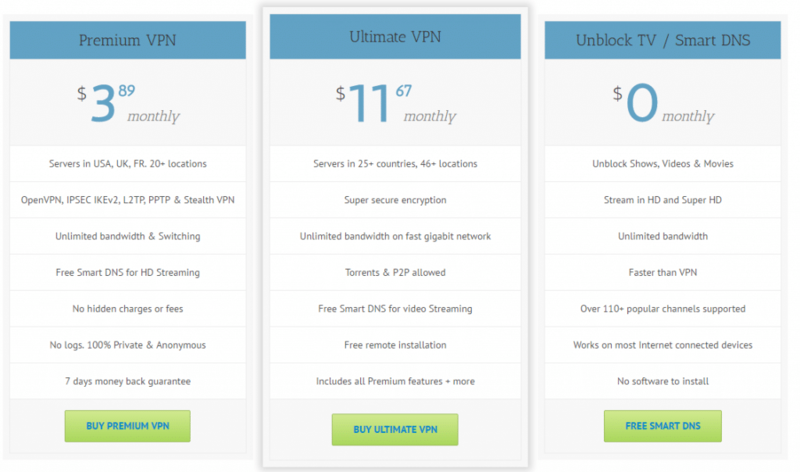 Users of the Ultimate VPN Plan get the same features of that of the Premium Plan but there are some additional features that are solely for the people subscribing to this Plan. 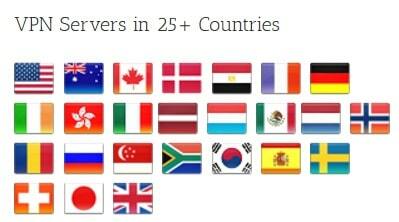 The Ultimate Package users get an access to servers in 25+ countries at 46+ locations. You can also enjoy torrenting and P2P filesharing only on their P2P designated servers. Using the Ultimate Plan, you can avail the remote installation up to two computers with no any extra charges. The payment options offered by AceVPN provider are the most secure of all. They accept PayPal and Mail In Payment. Most importantly, AceVPN has added the most anonymous payment option i.e. Bitcoin Payment method recently in their payment list. There is no any option for free trial, yet they provide an ample amount of time to test their services. AceVPN has a 7 day money refund policy on both of their Premium as well as Ultimate VPN Plan. If you feel yourself uncomfortable with their service at any point within those 7 days after the purchase, you can ask your money back without any hassle. We were impressed by the server count of AceVPN as they presently offers 46+ servers that are deployed across 25+ countries. These countries include the most major locations i.e. USA, UK and Australia that a VPN user desires to connect to. It is to be noted that among all of their servers, AceVPN provides you limited server access with the Premium Plan while you’ll get the availability to all of their servers using the Ultimate Plan. Moreover, there are P2P optimized servers which are specially designed for torrenting & P2P traffic so that you can enjoy torrential and P2P activities to the fullest. AceVPN is based in United States and aims to provide better security to their users in a fair pricing without breaking their wallets. 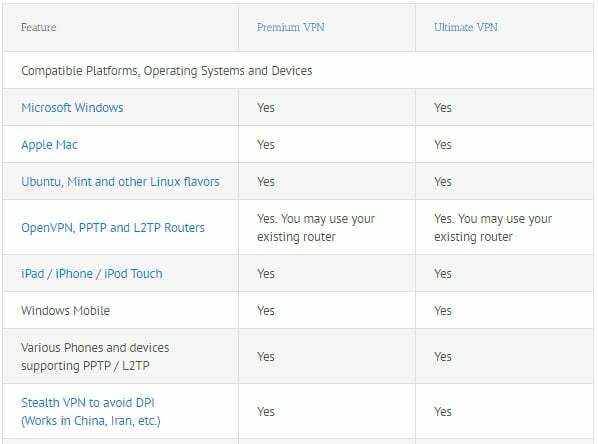 AceVPN is not a feature enriched VPN provider but what they have on their portfolio is worth mentioning in our AceVPN Review. 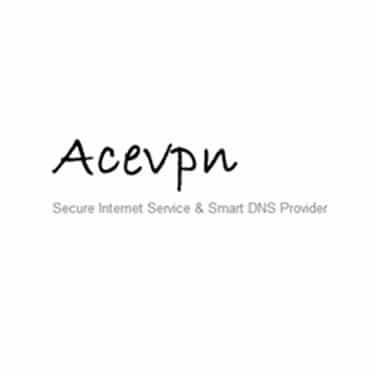 AceVPN provides Stealth VPN connections that are guaranteed to bypass and avoid the Deep Packet Inspection (DPI) and strict firewalls. This guards your privacy and enables you to connect to and from countries like China or Iran that have placed heavy censorships and filters to double check the data transmitted from one end to the other. The SmartDNS feature is particularly for binge-watchers who wish to experience a seamless internet connection without any buffers. AceVPN provides SmartDNS with both of its packages for HD streaming without any additional charges. With a widespread server network in almost 25+ countries and the availability to 46+ servers, AceVPN does not even let their users to be depressed with any limitations. AceVPN has provided the unlimited server switching so that users may connect to any of the servers they want and even switch it unlimited number of times. Compatibility of AceVPN is topnotch… That is to say, you won’t be missing any device or operating system with which AceVPN is not compatible. AceVPN have Microsoft Windows OS and Windows Mobiles, Apple Mac OS, iPods, iPads, iPhones, Android mobiles, Ubuntu, Mint and other variants of Linux in their compatibility list. In short, you can use AceVPN on every device or router that supports PPTP, L2TP or OpenVPN. AceVPN supports a number of protocols including the most popular ones PPTP, L2TP, IPSec IKEv2 and OpenVPN protocols. Other than this, AceVPN supports stealth VPN through which users situated in China, Iran and other such countries can overcome DPI in order to get anonymous over the web. AceVPN provides next generation security with Elliptic Curve Encryption approved for secret data transmission. The customer support of AceVPN lacks the live chat option; however, they claim to be active 24/7 through the email address they provide. For test analysis, we approached the AceVPN support agents via an email to inquire about some technical issue, and we were pleased to get their response within a few minutes. Other than that, they also provide basic knowledgebase and FAQ section enriched with setup tutorials and installation guide. The setup is easy and you don’t need to follow hectic steps to set up AceVPN on your respective device. Or you can even approach them up for remote setup assistance if you happen to stuck up on any step and find yourself unable to resolve it. We are here to provide you an easy guide to set up AceVPN on Windows 7 using PPTP protocol. This guide will also work over Windows Vista and Windows XP. 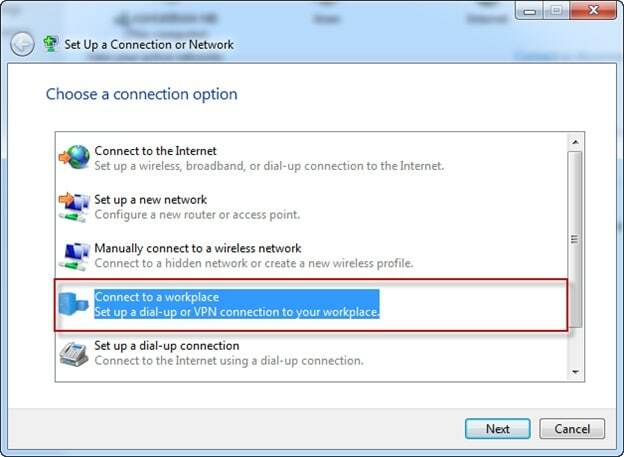 Now go to ‘Setup a New Connection’ and click ‘Connect to Workplace’. Connect using a VPN and insert the login credentials viz. your internet address and destination name, VPN username and password (which will be provided to you via an email). Click ‘connect’ and you are done! AceVPN provides a great service providing the compatibility over almost all mainstream devices and operating systems. This US-based VPN provider promises a complete no logging policy saving you from the cybercriminals and trackers who are solely interested in the personal information of the naïve users. AceVPN plays an important role in hiding your actual identity and location making you anonymous over the web and saving your info from the surveillance agencies like NSA, GCHQ etc. With the free SmartDNS and stealth VPN servers to bypass DPI, AceVPN will be a good choice to be chosen!